The Bellevue Apartments. 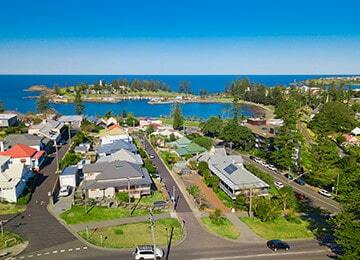 A touch of “The Hamptons” in Kiama. A Heritage building located on the town square, these award-winning plantation style apartments are moments from everything the vibrant community has to offer – the Blowhole, beaches, rock pools, cafes, restaurants and galleries. Refurbished by the new owners, The Bellevue offers six one-bedroom, fully self-contained apartments, all opening onto wrap around balconies with gorgeous views of the garden and sea. 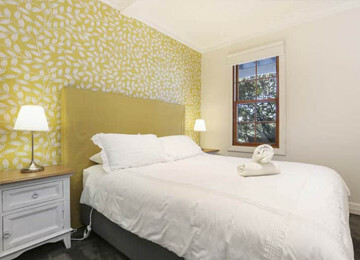 Our apartments are perfect for a short escape or a longer stay. Click here to book now securely and receive instant confirmation. 6 private, self-contained, 1 bedroom apartments ready to relax in. The apartments are full featured including Wi-Fi, kitchen and laundry. Kiama is perfectly located for an easy stay away only 90 mins south of Sydney, doorway to beautiful beaches, mountains, cafes & shops. 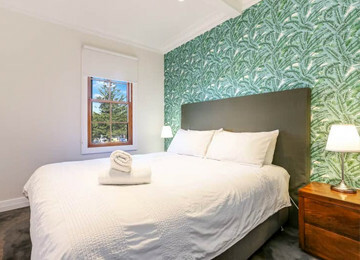 Fully refurbished in 2018, Bellevue Accommodation offers beautiful, private, self-contained apartments in the jewel of the South Coast, the town of Kiama. Relax with plenty of things to see and do on a relaxing break away.